It is no secret to anyone that I love pasta. Of course, you can buy it, but every once in a while you really should try making it from scratch. It’s not that hard and I find it both relaxing and fun. If you don’t have time for that then boil up some pasta and add some simple sauce and you are guaranteed to feel good both inside and out. 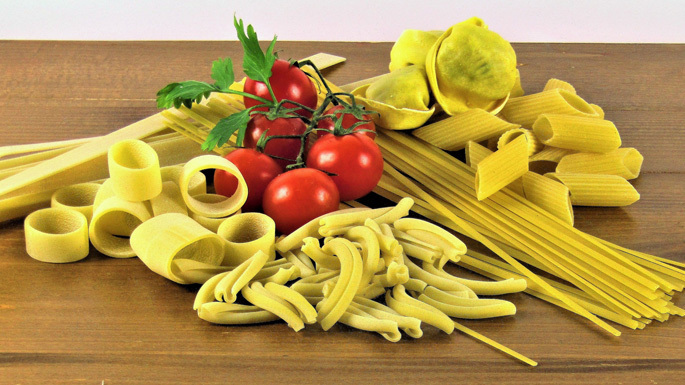 Here are a few tips for working with pasta, from me to you. o	When boiling the pasta DON’T add oil! o	DO add salt to the water. o	If adding butter, WAIT until the end so the flavor lingers. o	Add cheese once the pasta is OFF the heat. o	DON’T over sauce – all you need is just enough to coat the pasta. 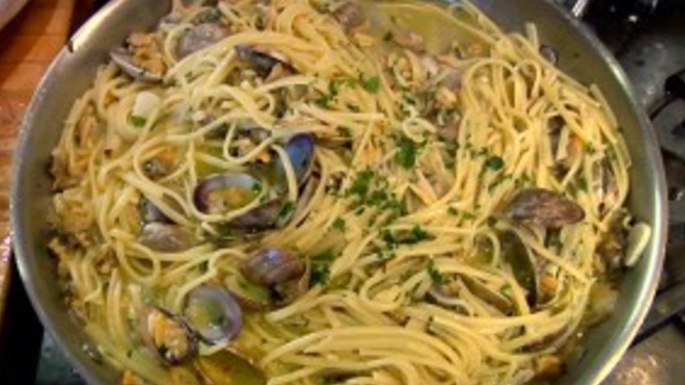 This is the quintessential Italian pasta dish especially in Naples and Rome, the ingredients are three, the clams are the smaller ones vongole verace and they are always cooked in their shells, once they open the sauce is done. Here in the States linguine with clam sauce is made with chopped clams, and I guess this adjustment makes sense especially since here in the US the clams can be quite large from little necks (small to medium) to top necks (large) to chowders (very large), chopping them makes sense. Although today ever more one finds smaller cockles on the market and if you find them, by all means, use them. Bring a large pot of water to boil for pasta. In a large straight-sided skillet, heat 4 tablespoons olive oil over medium heat. Add sliced garlic and cook until sizzling, about 1 to 2 minutes. Add anchovies and stir until the anchovies break up and dissolve into the oil, about 2 minutes. Add the clams to the skillet, along with the peperoncino and oregano. Ladle in about 2 cups pasta water. Bring to a simmer and cover until clams open, about 5 to 7 minutes. As the clams open, remove to a bowl. Meanwhile, add linguine to pasta water. When all the clams are out, increase heat to high and add ½ cup of the parsley. Cook until reduced by half. Meanwhile, shuck the clams. When the linguine is al dente and the sauce is reduced, add the pasta directly to the sauce and drizzle with remaining 2 tablespoons olive oil. Cook and toss until the pasta is coated with the sauce. Add shucked clams and remaining 2 tablespoons chopped parsley, Cook a minute more to blend the flavors and serve. Linguine with red clam sauce is almost never found in Italy, but is a big seller in Italian American restaurants here in the United States. So when you go to Italy, eat it as they do with white clam sauce and never ever ask for cheese to put on your linguine with white clam sauce.